This spacer measures 1 thick, but provides 2 of lift to the vehicle once it s installed. This additional lift is due to suspension geometry of the vehicle. If the spacer was 2 thick, it would provide closer to 3 to 4 of lift. 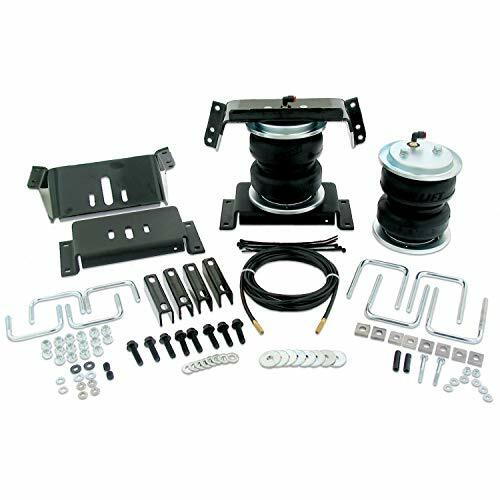 While most people know the benefits of upgrading a vehicle's suspension with polyurethane components, the cab and body Mounts are often overlooked. Factory mounts are constructed of rubber that breaks down over time and exposure to the elements. As they break down, they become less effective at isolating the cab from chassis noise and vibration. In extreme circumstances, worn body mounts can cause the body to shift on the frame and increase body roll. 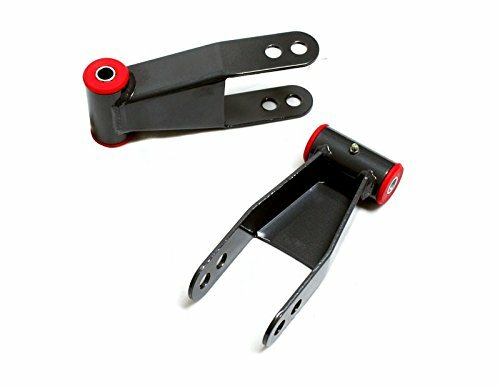 Numerous problems with components that attach to both the body and the chassis, such as mechanical shift linkage, are also indicators of worn body mounts. 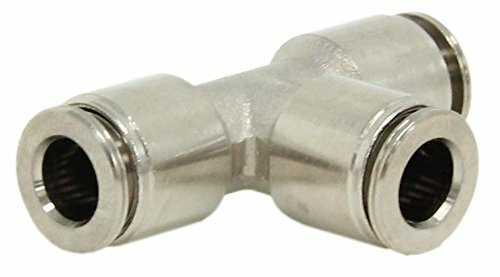 Daystar Body Mounts are resistant to vehicle fluids and road grime. They outlast factory body mounts and provide more positive attachment to the frame. Precision-engineered to be a direct replacement for factory mounts, they are constructed of a special polyurethane blend that helps insulate the cab while maintaining superior holding power. 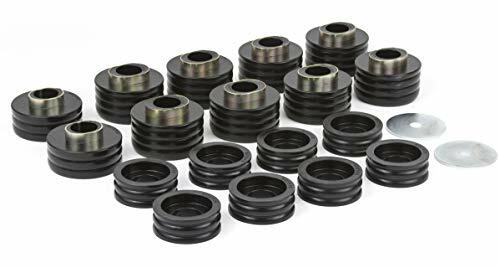 Daystar body mounts are the perfect upgrade for worn stock mounts and are particularly beneficial in racing applications. 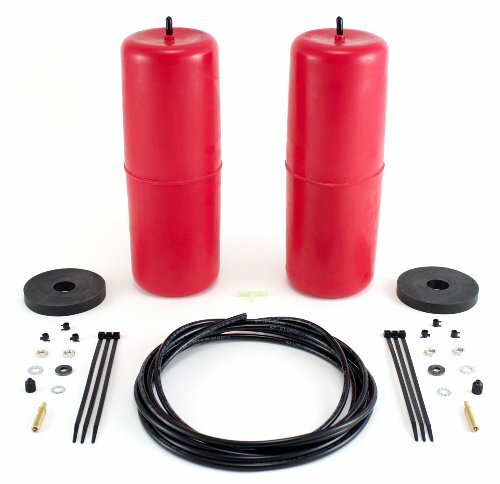 Offering up to 1,000 pounds of load-leveling capacity, Air Lift's flagship kit, the Air Lift 1000, will make towing and hauling with your Dodge/RAM 1500 a comfortable and stress-free experience. For frequent use, our fully-adjustable, industry leading air springs are the perfect partner for your vehicle, eliminating any issues that you might face. The Air Lift 1000 system fits easily into the coil springs of coil-sprung vehicles, providing suspension support. Easily adding air when carrying heavy loads will keep the vehicle level and stable. Adding air bags helps to eliminate problems frequently faced when towing and hauling, such as squat, poor headlight aim, trailer sway, body roll, and bottoming out. With the added stability and weight-distribution that air springs provide, you can haul safely, knowing that you have optimal braking and steering control. 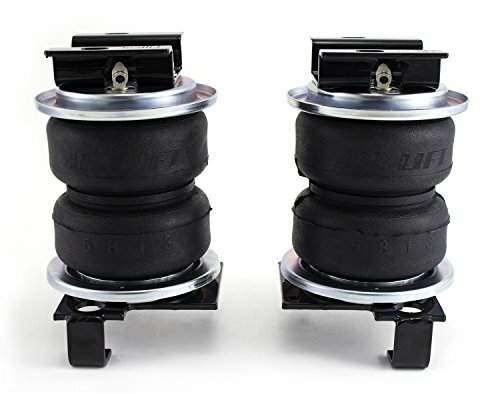 The air springs are adjustable from 5-35 PSI, ensuring that your vehicle can be ready for any weight and any situation (Note: Do not exceed vehicle's gross vehicle weight rating (GVWR)). Simply add air when towing or hauling and deflate when riding empty. 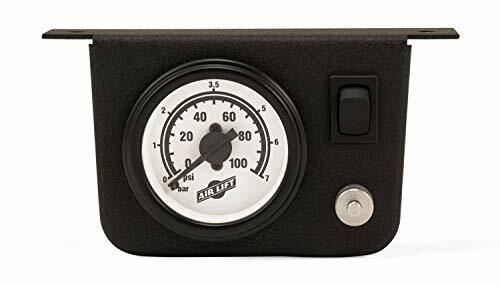 As the leader in air suspension products for more than 65 years, Air Lift is committed to delivering quality load support parts that last. To ensure the highest quality, longevity, and customer satisfaction, the key suspension components, including the air springs and all hardware, have all been torture-tested to 1 million cycles on our hydraulic test rig. 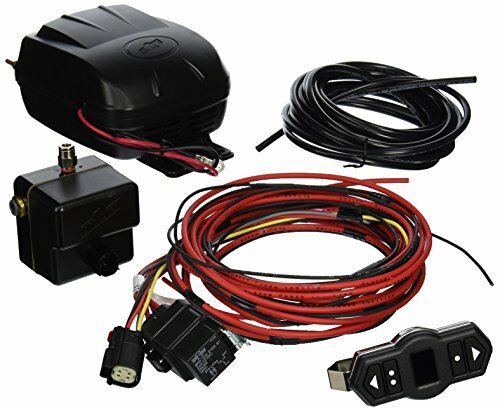 With a lifetime warranty and 60-Day Ride Satisfaction Guarantee -- not to mention the Air Lift reputation for great customer service and technical support, should you run into any snags in the installation process -- you can purchase this kit with peace of mind. Installing the kit is a simple process, requiring only common hand tools and no frame drilling, specifically designed to be installed in 2 hours or less. Fits most open coil springs on the front or rear. Replaces P-30/32 OEM Front air springs. Air adjustable to custom-tune the desired ride. Easy to install using common tools! With Three User-Defined Memory Buttons. WirelssONE Can Remember Frequently Used Settings. 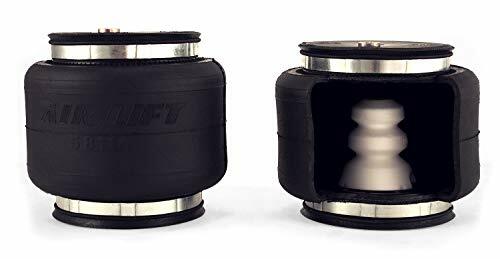 Inflate/Deflate Both Air Springs To Equal Pressures. Easy Install In About One Hour. No Wires Or Air Lines Need To Run Into Cab. One-Touch Control From Inside/Outside The Vehicles. Compatible w/Any Brand Of Air Springs. 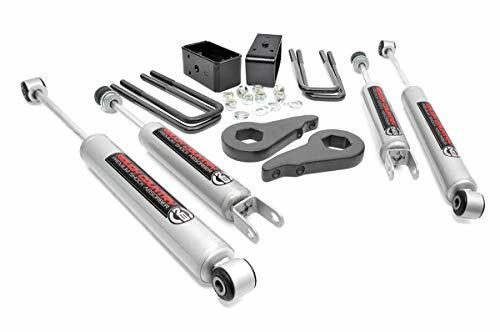 Transforming your truck has never been easier with Rough Country's 1.5" - 2.5" Leveling Suspension kit for 99-06 Chevy / GMC 1500's. Get everything you need to run up to 32" tires and gain the aggressive good-looks of a leveled truck with a taller stance - all in one easy to install package. 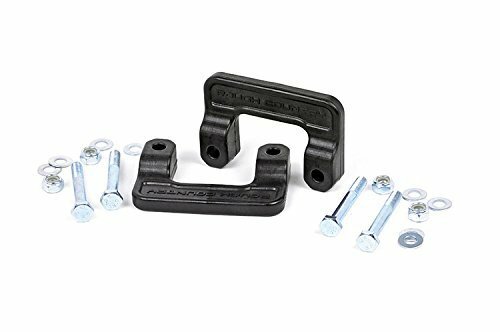 A set of high-quality Rough Country Forged Torsion Keys allow fine-tuning of the torsion bar to level the front with the rear. With a 1" adjustable range, these keys can be dialed in to the desired angle; from perfectly level to Cali lean. Our Forged Torsion keys are considerably stronger than cast-iron, offering plenty of strength to keep everything locked and leveled. Get the wheels you want! Rough Country's 1.5" - 2.5" Leveling Kit comes with everything you need to fit up to a 285/75 R16 tire with factory backspacing. A set of 3" Rear Blocks and shock spacers help provide ample room for a wider range of options than lesser leveling kits can offer. 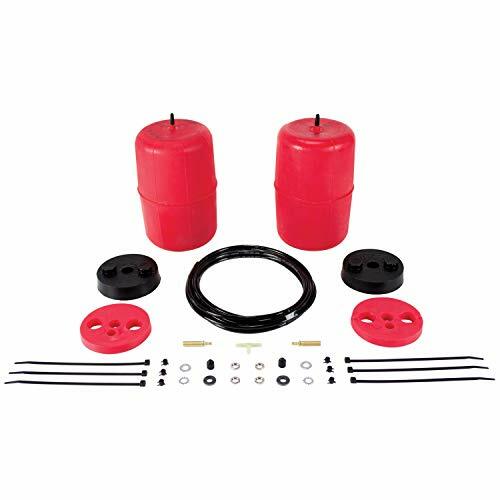 This kit features Rough Country's premium N3 shocks! These 10-stage variable valving, high-pressure Nitrogen charged shocks offer a fantastic blend of off-road action and smooth highway ride quality. With a durable 18mm spring-loaded piston rod and faster-cooling 54mm shock body, this shock offers up to 36kN Tensile Strength for a long lifespan of vibration dampening. Features natural rubber bushings and an eye-catching metallic silver paint. With our 100% Bolt-On Installation processes, this kit is easy enough to install on your own, or can save money on installation at your local shop. Best of all, this GM Leveling kit is backed by Rough Country's Lifetime Replacement Warranty and features our 100% Satisfaction Guarantee. 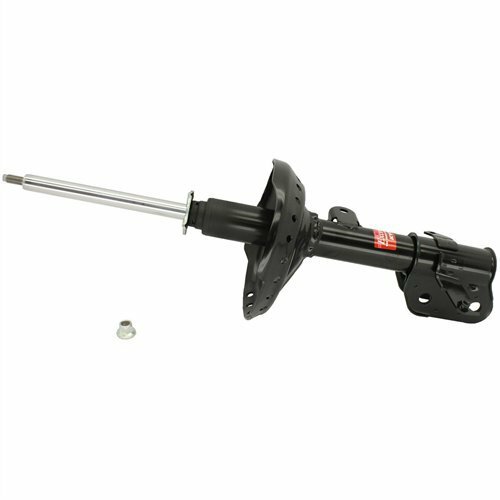 FOR DOMESTIC/IMPORT-TWO BOLT STRUTS. 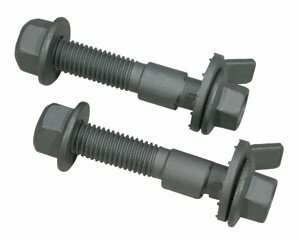 EZ Cams make non-adjustable two-bolt struts adjustable up to +/- 1.75 camber change. Head markings show where the cam is for maximum change and an easy-to-manipulate toothed washer lets you set positive or negative change. Simply remove the upper OE bolt, loosen the lower bolt, install and adjust the adjust the EZ Cam to the desired change and then tighten everything to specification. This is an easy fix for camber issues and a perfect companion sale for any strut job. 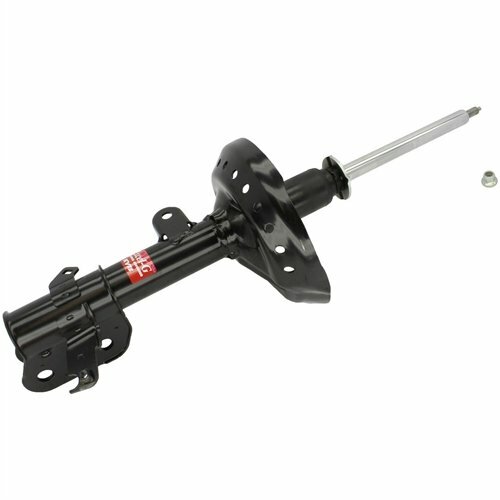 Save time, money and effort by making aligning two-bolt struts a one-man job without grinding. Keep one of each part number in stock, measure the OE threads, replace the OE bolt with SPC's EZ Cams to make your alignment jobs fast and profitable. Ride Comfort may be important, but restoring a vehicle s Ride Control; stability, stopping, lane change responsiveness and handling is critical. KYB Excel-G Shocks & Struts are designed for the most important performance purpose: Restoring the vehicle s original capabilities. KYB is a world leading supplier of shocks and struts to new vehicle manufacturers and the Excel-G is made on the very same KYB OE assembly lines, uses the same OE quality components and is calibrated to restore original, designed performance, not change it. That has earned Excel-G the classification: OEA (Original Equipment for the Aftermarket). The KYB Excel-G is a nitrogen gas-charged, twin-tube design that includes every quality component that our global OEM products include and it is the preferred choice for Asian vehicles. Warranty: KYB Limited Warranty warrants to the original retail purchaser that each new KYB product purchased from an authorized KYB dealer shall be free from defects for the specific periods listed below, when used on private passenger vehicles and light trucks for personal use under normal operating conditions. Warranty Period A. lifetime: All KYB Shocks Absorbers, Struts, and Strut Cartridges (Except KYB Strut-Plus TM, Air, Electric or Self Leveling) Note : lifetime means for as long as the original retail purchaser owns the vehicle on which KYB products were originally installed. B. One(1) Year: All KYB Strut-Plus, KYB Strut Mounts, Boots and Steering Stabilizers What is Covered by this Warranty? The warranty covers defect in material and workmanship in the KYB product. KYB's sole and exclusive obligation under this warranty is limited to the exchange / replacement of a defective KYB product in accordance with this limited warranty. A valid copy of the original dated retail proof of purchase receipt must accompany any warranty claim Please Refer to the KYB Limited warranty for further details. EZ level - 2000 pounds level load capacity. Can be adjusted independently for uneven side to side loads. It is mounted under factory axle u-bolt plates. Complete bolt on and backed by lifetime warranty. The variable rate leaves do not affect ride when unloaded. It has high quality spring steel leaves. Adds new life to old springs and reduces body roll. Fits most leaf sprung and 1 ton pickups, vans, Class A, B, C motorhomes. Does not interfere with in-bed hitches. 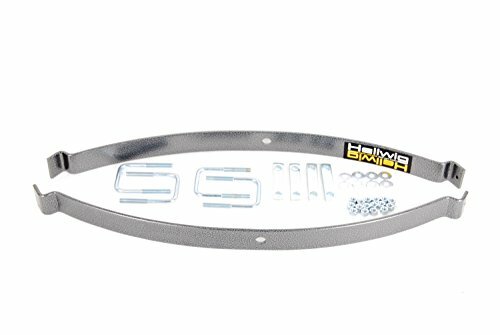 Air Lift exclusive roll plates protect the air springs. Air adjustable from 5-100 PSI. Easily installed in 2 hours or less. Rough Country's high-quality Black Shock Boots are the best solution for protecting your shocks from dirt, dust, mud and other contaminants. Made of a high-quality polyurethane, each boot is designed to hold up to the elements and resist fading for a long life of good looks and protection. Forget zip ties and other cheap methods of securing your boots. Rough Country Shock Boots feature a premium stainless steel boot clamp for a secure, precise fit that looks far better than cheaper alternatives.